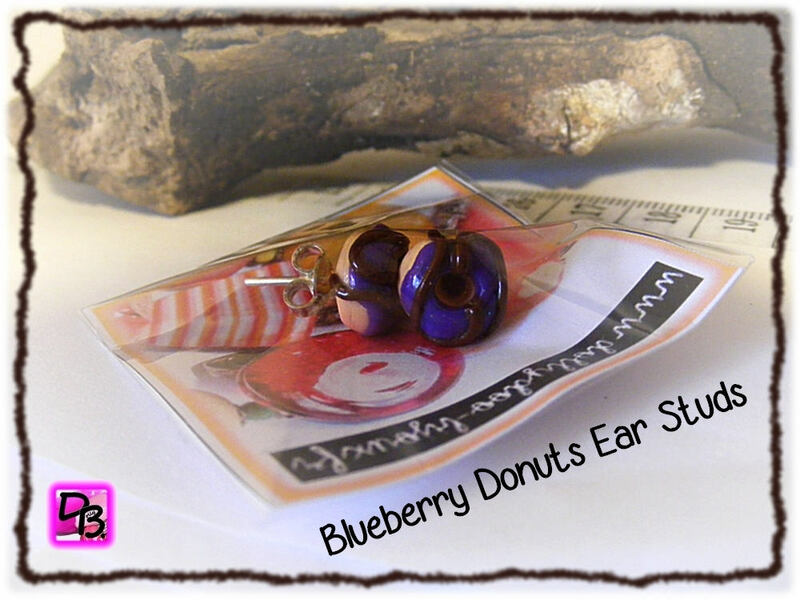 All small Donuts of 1 cm diameter on 5 mm height (diameter 0.39 inch), with chocolate icing Blueberry. They are delightful these little curls and will delight a little girl, a teenager or even a greedy Mommy! Their weight is so light, 2.4 g the pair, so do not be deprived! I made the Donuts in polymer clay, then passed a layer of ceramic varnish for a shiny rendering. To prevent loosening and damage to the loops, the brackets are pressed into the heart of the donuts and then coated with a thin resin layer at their base. The metal brackets of these loops are nickel-free, lead-free, mercury-free, cadmium-and chrome-compliant with the European RoHs standard. You will receive the loops ready to offer!